Vending Machine Service Leader for over 25 Years! We are dedicated to providing our customers the highest level of service and selection in the industry. Capitol Vending has hundreds of machines in the field, at dozens of locations and we’re expanding! Our machines are outfitted with cashless capabilities, and our machines digitally report into our warehouse several times a day, every day. Backed by the industry’s leading Vending Management Software, we know what your location is buying and we service your location with the exact products your employees need. Every machine has a robust selection, and with live-time machine monitoring, your products are of the highest quality, each and every time. 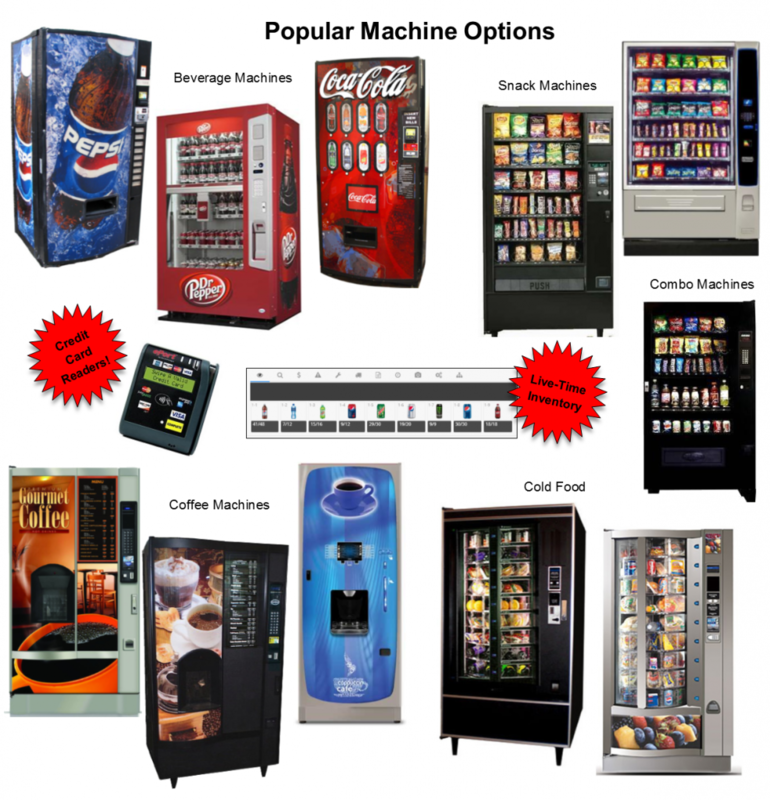 Whether a beverage or snack, coffee or fresh food machine – depending on the size of your location – Capitol Vending has the machines and products your location desires. What makes Capitol Vending Stand Out? We have our very own Fresh-Food Commissary! We make entrees, sandwiches, salads and desserts you cannot get anywhere but from Capitol Vending! Contact Us today to find out more! Interested in a custom solution for your break room? Check out Capitol Cafe Markets!